Kari Kanne, family law attorney with Honsa & Associates, is our member in the spotlight for March 2014. Kari was nominated for taking initiative and spearheading the joint social hour with with AFCC-MN and the Family Law League held this past fall. 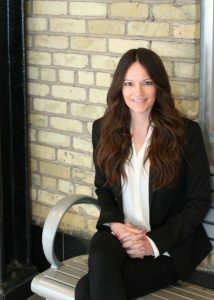 Kari is an AFCC-MN member as well as Vice President of the Family Law League. Kari saw an opportunity to expand both organizations through a joint event. The event was truly a success, with a standing room only crowd of family law professionals including judicial officers, guardian ad litems, lawyers, mental health professionals and financial professionals. Thank you Kari for your hard work and dedication to bringing new networking opportunities for our members. Kari is an associate attorney at Honsa & Associates, PA focusing her practice exclusively on family law. Kari assists her clients in navigating all types of family law matters such as divorce, custody and parenting time, paternity, and child support. Prior to working at Honsa & Associates, PA, Kari worked at Hennepin County Family Court first as an extern, and then as a law clerk for nearly three years. Because of this experience, Kari brings a unique perspective of courtroom procedures and litigation strategies that prove effective, coupled with excellent legal writing skills. In addition to her serving her clients, Kari volunteers her time as an attorney for Hennepin County’s Limited Scope Attorney Program, as an investigator for the 4th District Ethics Committee, and as the Vice President of the Family Law League. In her spare time, Kari enjoys golfing, reading, and traveling.